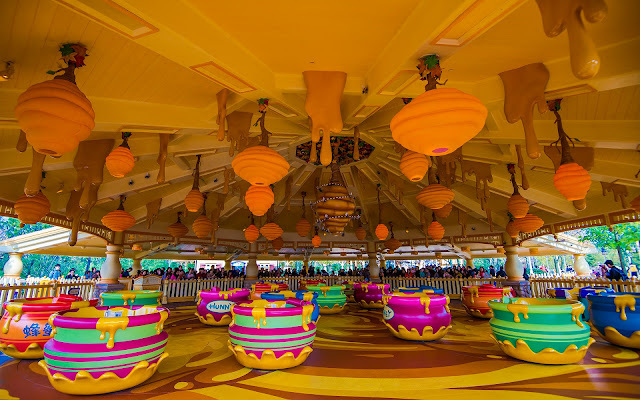 In most Disney Magic Kingdom parks around the world, Alice in Wonderland plays the inspiration for the spinning turntable ride, typically themed to the famous mad tea party with Alice, the Mad Hatter, and the March Hare. 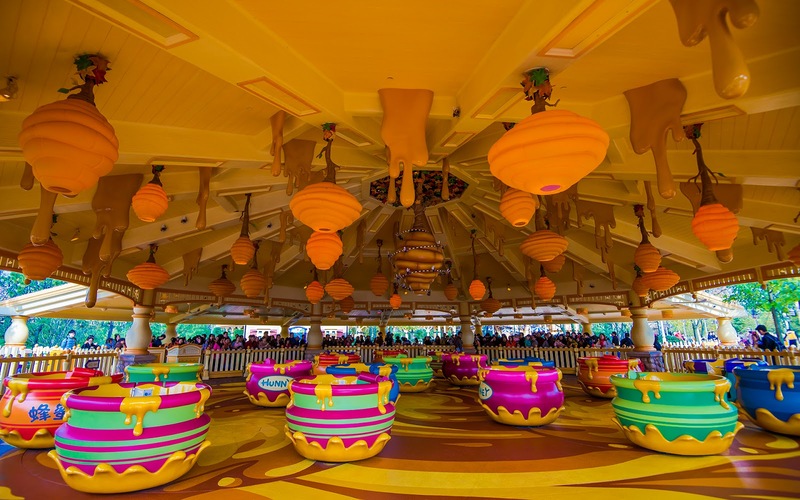 But Shanghai Disneyland is a different sort of Disney theme park, meant to be a new chapter in the inspiration and direction of Magic Kingdom parks, so when it comes to a spinning turntable ride, Winnie the Pooh plays the narrative. 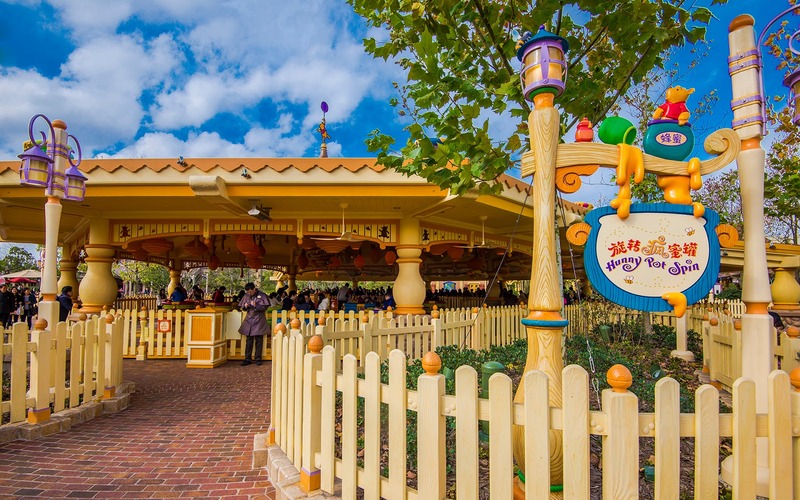 In Shanghai, the Hunny Pot Spin is a whimsical and colorful attraction that comes with its own brand of adorable theming inspired by Pooh's favorite food. And when one considers the notion of honey bees whirling around a hive, the juxtaposition really makes sense--even if it's a departure from the theme of ride this has been before.